Confirm Form Resubmission is more of a ‘feature’ than an ‘error’ that the users of Google Chrome have been facing. This feature had been added to prevent entry from repeating after hitting refresh. For example on hitting refresh, your credit card can be charged twice if it wasn’t for ‘Confirm Form Resubmission’. This mostly appears when users are trying to refresh a page containing a form. However, whether it is a feature or an error, users have been trying to get rid of it. So here are some of the ways through which Confirm Form Resubmission error can be fixed. Post and Get are both HTTP methods. Hyper Text Transfer Protocol (HTTP) is a link between the clients and the servers that enables the client to get data from the server. It’s like a request-response protocol. POST is a method of HTTP in which the data is requested to the browser and the details are not appended to the URL, making the data not visible to the user.POST is used to send data to the server to create or update a resource. This method is preferred when an exchange of sensitive information is involved, so that data is not submitted more than once. GET is another method of HTTP which is used just to retrieve data from the server using a URL. But under the GET method details are appended to the URL and confidentiality of the data is not ensured. Because of this, GET method is generally not used with forms or where exchange of sensitive information is required. Remove POST from the URL and use GET at its place. This may not be the best solution for regular users of Google Chrome. This can be done to get rid of Confirm Form Submission temporarily. If you are using a form with this present in the header, Confirm Form Resubmission can be solved by removing ‘no-store’ from the header. Refresh the page with the form now and check whether the issue has been fixed or not. Create a shortcut for Google Chrome. Now right-click on Google Chrome and select Properties. A dialog box will appear in which a field named ‘Target’ will be given. Target can be for example, “C:\Program Files (x86)\Google\Chrome\Application\chrome.exe”. 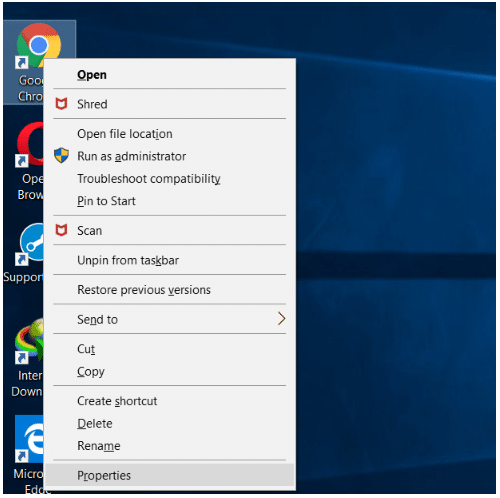 Add –disable-prompt-on-repost at the end of it like, C:\Program Files (x86)\Google\Chrome\Application\chrome.exe”–disable-prompt-on-repost. Save it and open Google Chrome after that. Check whether the issue is solved now. Click on Control Menu of Chrome (the three dots at the upper right corner). Then select ‘Clear browsing history’. Select the Time Range to ‘Beginning of time’ or ‘All time’. 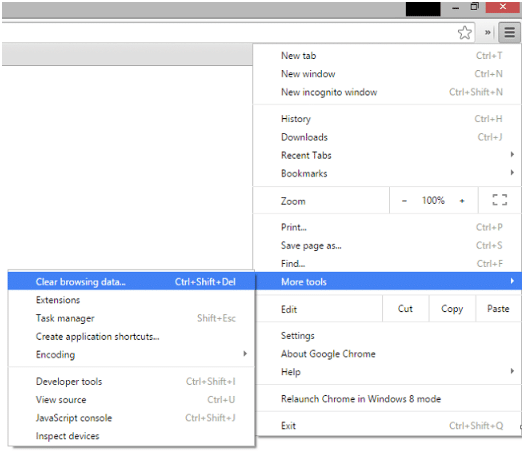 Check all the items and then select Clear browsing data. Press Ctrl + H keys. A new panel will open. Given on the left-hand corner, select Clear browsing data. Set the time range to ‘Beginning of time’ or ‘All time’. Check all items and then click on Clear browsing data. 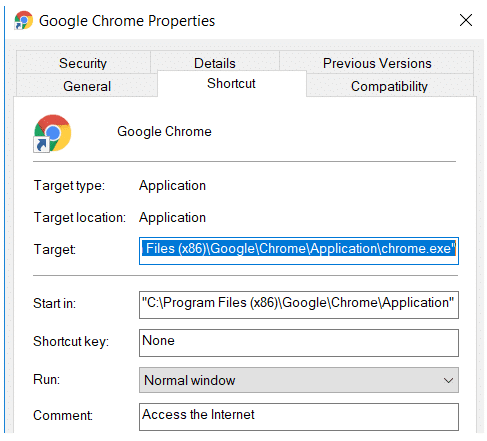 Another method to clear the browsing history is to copy “chrome://settings/resetProfileSettings” and pasting it into your address bar and then selecting ‘Reset Settings’. Browser extensions are software that adds additional features and functions to a website. It can also be used to block or filter content and provide additional security. Some examples of browser extensions are Adblock, for content filtering and ad blocking, HTTPS everywhere, to provide an additional layer of security etc. Click on Control Menu of Chrome (three dots on the upper right corner). After that click on ‘More tools’. A list of extensions will appear. Trying disabling the extensions one by one and see whether the issue has been fixed. An extension can be enabled back again if it’s not the root cause of the error. Mostly ‘toolbars’ and ‘adblocking tools’ are the ones which cause problems. Try disabling them first. Try resetting and upgrading the browser to remove Confirm Form Resubmission issue in Google Chrome. Select ‘Show advanced settings’ given at the bottom. Scroll down and click on Reset settings option. A very basic fix, but upgrading your browser to the latest version can remove the errors and bugs that may be prevalent in the previous version. Try upgrading your version of Google Chrome to the latest one and see whether it works for you. Apart from the methods mentioned above, you can resort to some additional measures as well to make sure that you don’t face this situation time and again. You can make sure that your internet connection is working fine; a poor internet connection can be the cause of this error as well. You can also disable motion on your browser so that even if you accidentally move forward or backward, the message pop-up still won’t appear.